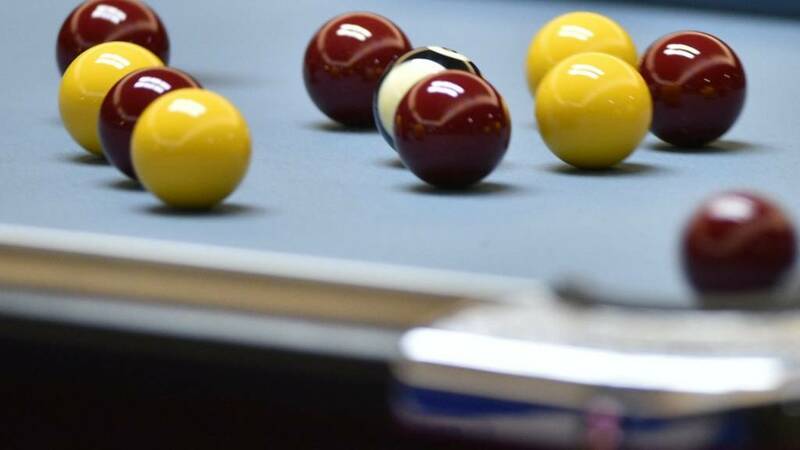 Most recent IPA Pool finals have gone to the wire but things were very different in the Open on Saturday evening as a frankly inspired Jimmy Carney provided an exhibition of pool that had to be seen to be believed. One tricky red in the middle pocket to get on the black in frame seven was literally the only pot that Jimmy missed throughout the entire match in almost flawless pool that needs to be watched again and again by any up and coming young player looking to master the game. Opponent Clint I’Anson is a far better player than the 7-1 scoreline suggests, but anyone who failed to be moved by the unbridled joy on Jimmy’s face as he picked up the trophy needs an emotions transplant in a great advert for just how important this tour is to the serious pool players here in Bradford. Blackball(without the bigger pockets) is the official competitive version in this country, run by the International Professional Pool Association.